End the Mommy Wars Please! This is a sponsored post. 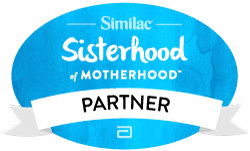 I am a Partner in the Sisterhood of Motherhood from Similac. Thanks for supporting Parenting in the Loop. I love social media and good discussions but when it turns to a “war” of words over how moms are raising their children I want to scream! Instead of shunning the Mommy Wars I am trying to be part of the solution and #EndMommyWars by participating as a proud partner in Similac’s Sisterhood of Motherhood. Are you sick of moms criticizing each other like I am? What experiences have you had with critical moms while trying to raise your kids? If you like you can share your Mommy Wars Story at Similac on the Similac Facebook page via a short selfie video. Sharing and helping to let other moms know that they are not alone in their moments of happiness and struggle is to me one of the greatest advantages of social media. So lets help each other out and share our stories! Let’s end the mommy wars with this hashtag . #EndMommyWars! This entry was posted in Family, Grandmas & Grandpas, Moms & Dads, Parenting and tagged #EndMommyWars, mommy wars, Similac, Sisterhood of Motherhood by llpitlwp. Bookmark the permalink.